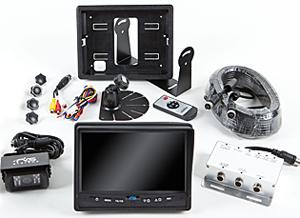 Mickey Truck Bodies now offers an optional backup camera system complete with crystal clear 7″ digital LCD color monitor with mirror image capability to its long list of popular options. Available on new units and aftermarket installation. ORDER NOW and receive a 25% discount. Call ROCKY at 336-888-2234 or email him at rbarham@mickeybody.com and mention promo code The Mickey Spirit 114. Limited # of units available at this special price. CALL NOW and save 25%! Offer expires February 28, 2014.